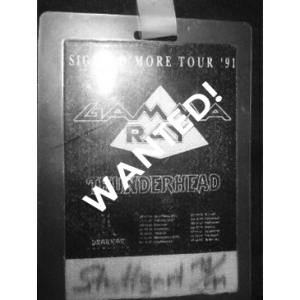 WANTED: 1991 – Sigh No More – Tour 91 – Pass. 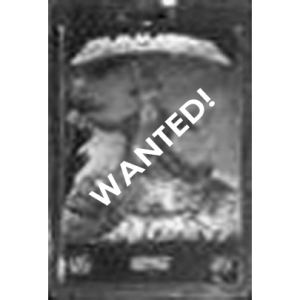 WANTED: 1991 – Sigh No More – Tour 91 – France Pass – 30 November. 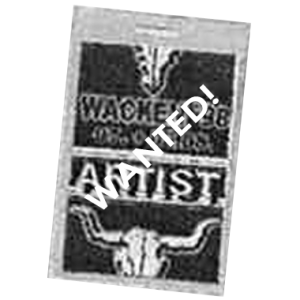 WANTED: 1993 – Insanity And Genius – Melodic Metal Festivals Pass. 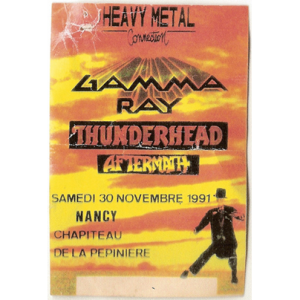 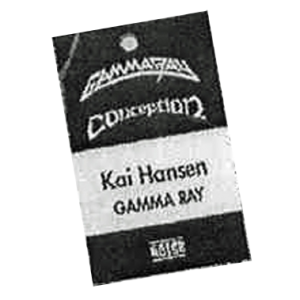 Gamma Ray, Rage, Helicon & Conception. 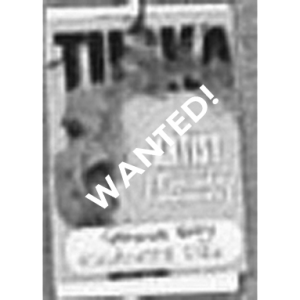 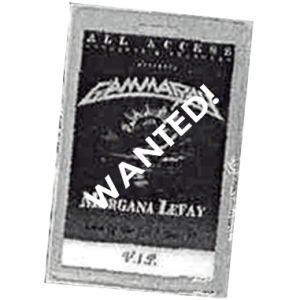 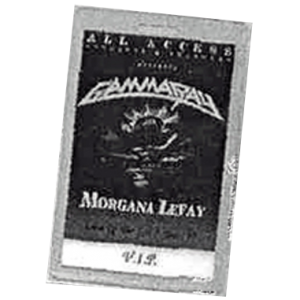 WANTED: 1994 – Insanity And Genius Tour – With Manowar – Pass. 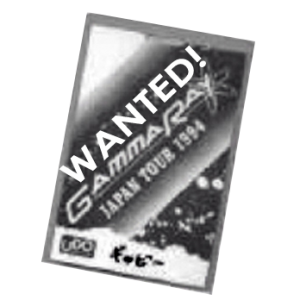 WANTED: 1994 – Insanity And Genius – Japan Tour 94 – Pass. 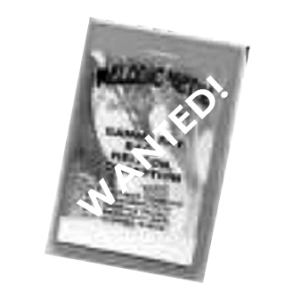 WANTED: 1995 – Land Of The Free – Release Party 29/5 – Pass. 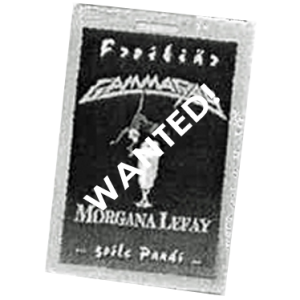 WANTED: 1995 – Land Of The Free – Summer Metal Meetings 95 Tour. 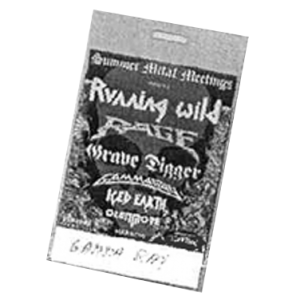 Tour Pass with Running Wild, Rage, Grave Digger & Iced Earth. 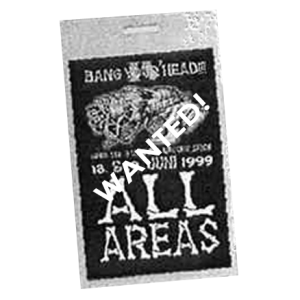 WANTED: 1995 – Land Of The Free Tour Pass. 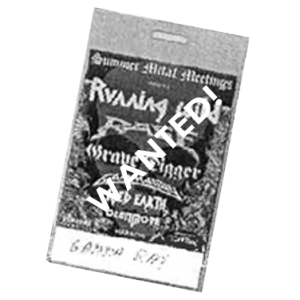 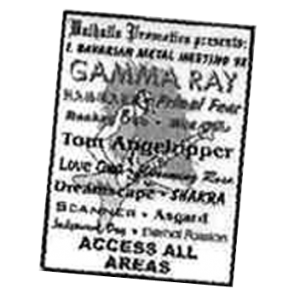 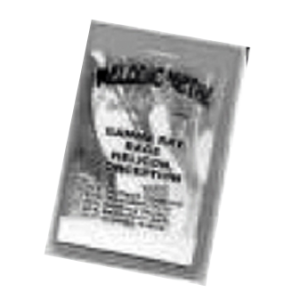 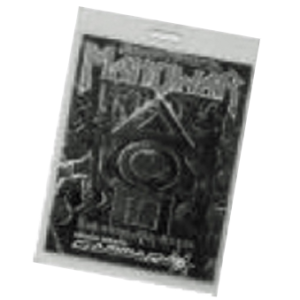 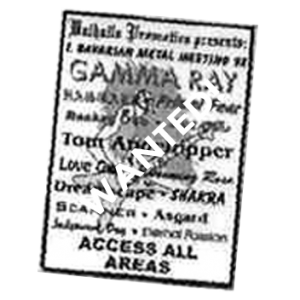 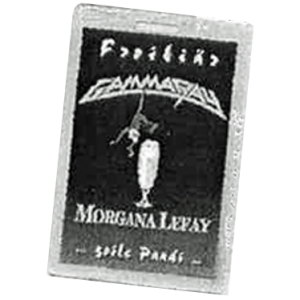 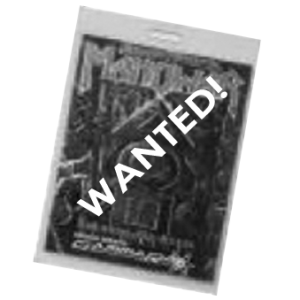 WANTED: 1996 – Bavarian Metal Meeting Pass, 5/5. 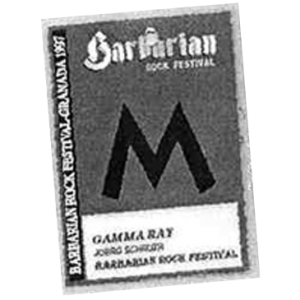 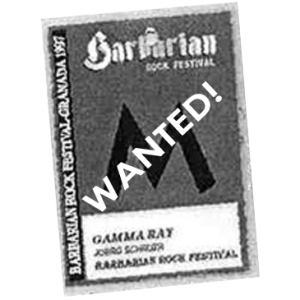 WANTED: 1997 – Barbarian Rock Festival Pass (Canceled). 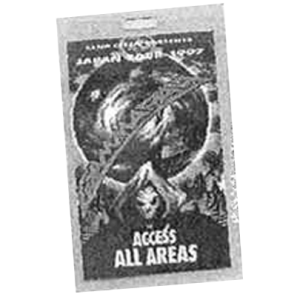 WANTED: 1997 – Somewhere Out In Space – Argentina Tour Pass. 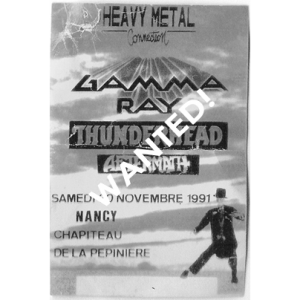 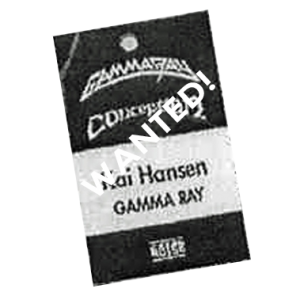 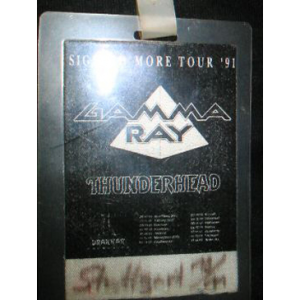 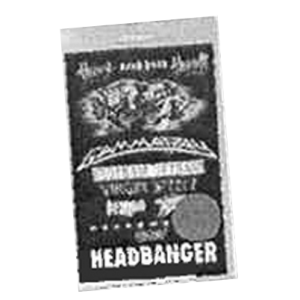 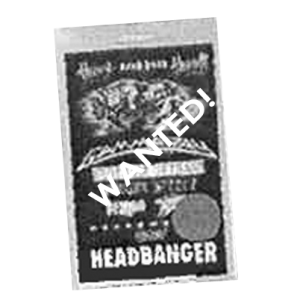 WANTED: 1997 – Bang Your Head Festival Pass – 13/9. 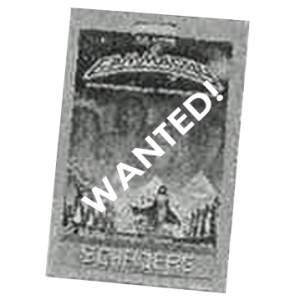 Somewhere Out In Space Tour – Tubingen. 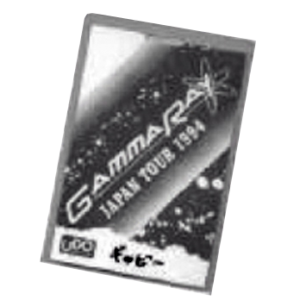 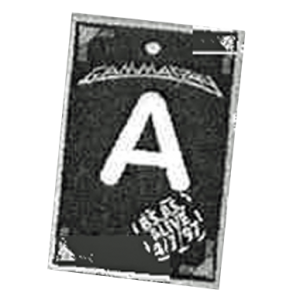 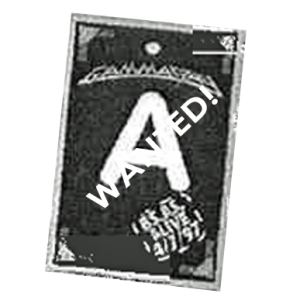 WANTED: 1997 – Somewhere Out In Space – Japan Tour Pass. 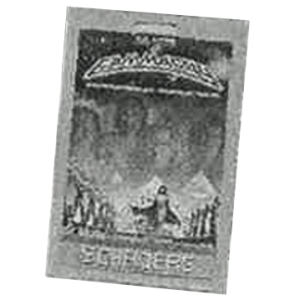 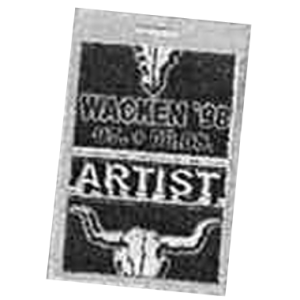 WANTED: 1998 – Wacken Open Air Festival Pass – 8/8. 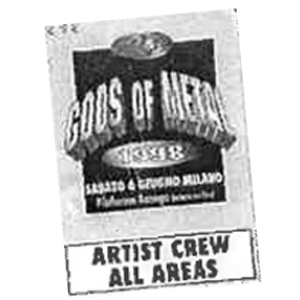 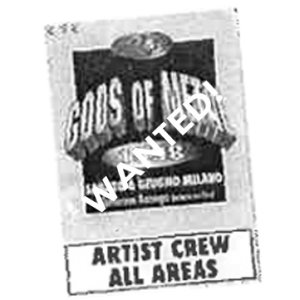 WANTED: 1998 – Gods Of Metal Pass. 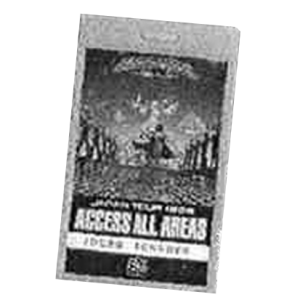 WANTED: 1999 – PowerPlant Japan Tour Pass. 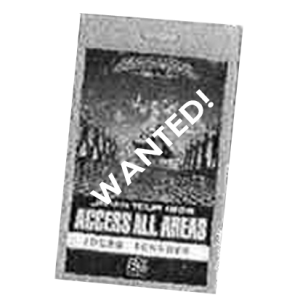 WANTED: 1999 – PowerPlan Tour Pass. 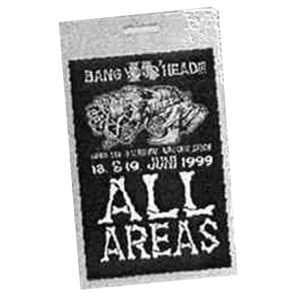 WANTED: 1999 – Bang Your Head Festival Pass – 19/6. 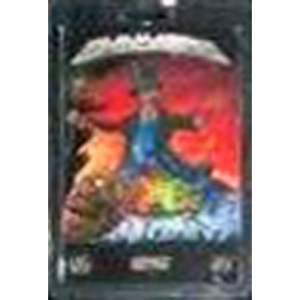 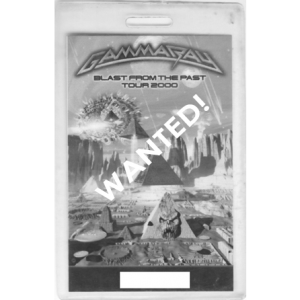 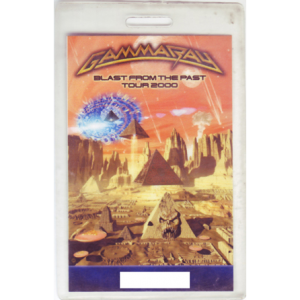 WANTED: 2000 – Blast From The Past Tour Pass. 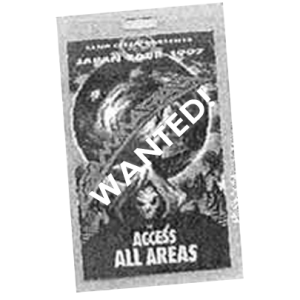 WANTED: 2001 – No World Order – VIP Pass. 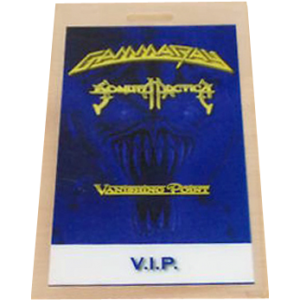 Tout with Sonata Arctica & Vanishing Point. 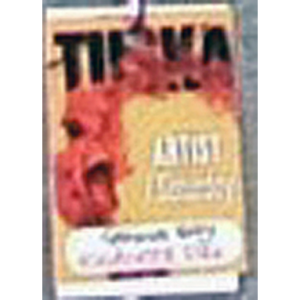 WANTED: 2005 – Tuska Open Air 05 pass. 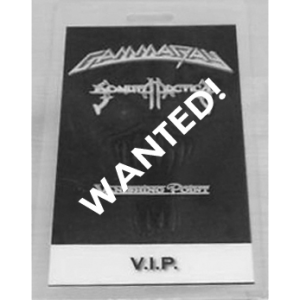 WANTED: 2015 – Best of the Best Party Tour – Pass.